Why we don’t sell luxury vinyl tile! And why you should think twice before buying it. Luxury vinyl tile (LVT) flooring has recently become popular due to its durability, price, and unique-looking surfaces. However, it is made of new or recycled polyvinyl chloride or PVC. PVC is one of the most environmentally hazardous consumer materials produced. PVC creates large quantities of persistent toxic organochlorines such as dioxins and phthalates and releases them into the indoor and outdoor environments. Both of these chemicals are highly persistent, bioaccumulative and toxic to humans and all life. The process of production and their ultimate incineration in landfills generate some of the most hazardous pollutants known. 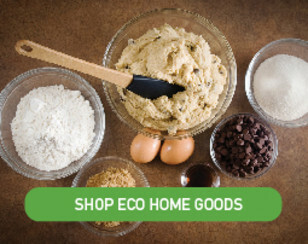 Since 1991 Green Building Supply has been dedicated to providing building materials that are safe, sustainable and smart. 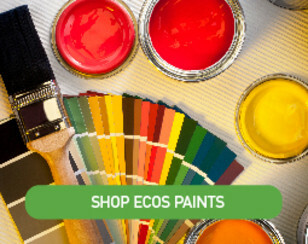 We take pride in offering products that do not cause harm to anyone or anything in the environment. Our guiding principle has always been and will always be, Safety First. For example, in the late 90’s when laminate flooring was all the rage, we decided not to sell it because our research showed that it was harmful and not sustainable. Two decades later, the public finally learned the truth about laminate flooring sold by Lumber Liquidators, thanks to a 60 Minutes exposé. 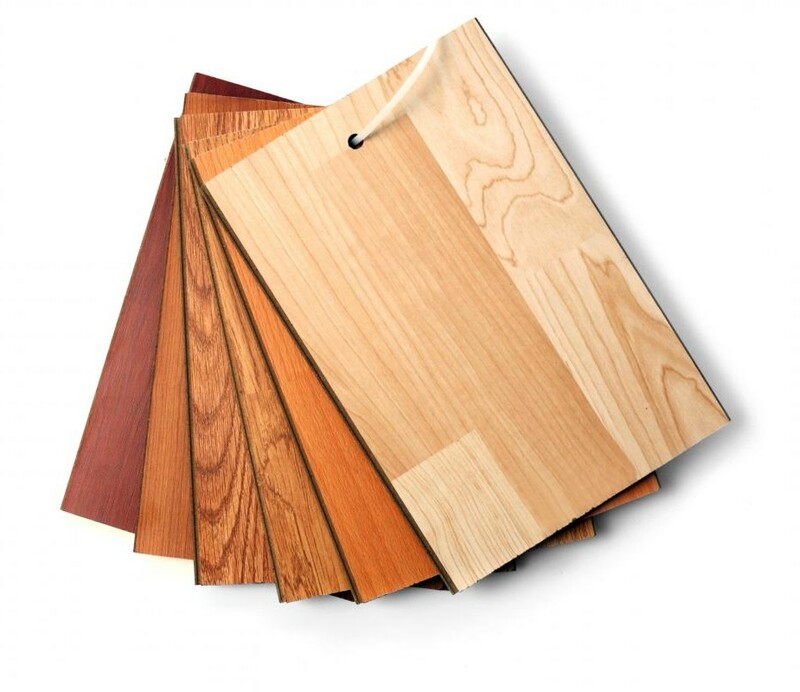 We spared our customers from exposure to toxic chemicals by not selling laminate flooring. In turn, we were spared from lawsuits because we stood by our principles. Today, based on the same principles, we have made a similar choice not to sell LVT flooring. There are too many red flags waving in front of us to ignore (see details below). While research on PVC continues, it would be unconscionable for us to sell a product knowing that it might cause harm to individuals and that it would continue to pollute the environment. In the future, should manufacturers of LVT discover new ways of making and disposing of PVC that satisfy our requirements of safety and sustainability, we will consider offering it to our customers. This would only be after we test it ourselves and are satisfied that it contains no toxic ingredients and is third-party certified. That day may be a long time coming. In the meantime, we have many natural, sustainable flooring options to satisfy most residential and commercial requirements. We believe that the number one requirement for consumer products is that they should be safe for everyone. Labeling would not be necessary if our government regulating agencies provided us with the protection we need. The burden of proof of safety should not be on consumers to find out the hard way through sickness and even death. Manufacturers should prove that their products are safe even before entering the market. scratches were impossible to remove. Most laminate flooring was made in China. 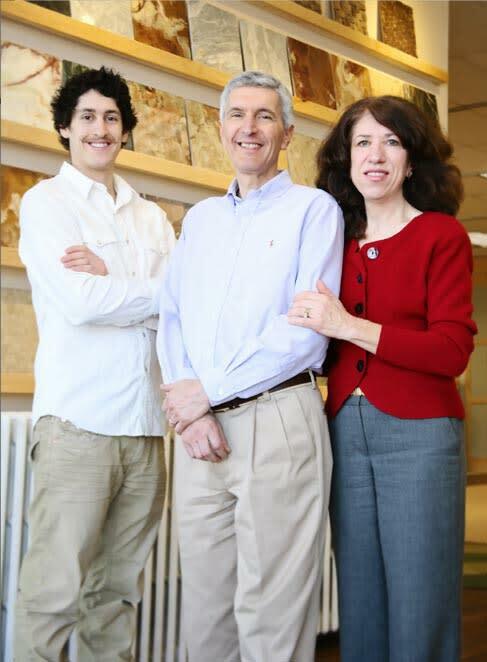 After 60 Minutes discovered excessive amounts of formaldehyde in Lumber Liquidators’ laminate flooring, flooring products made in China became even more questionable because of their effects on humans and the environment. There is a new trend away from laminates towards a flooring called luxury vinyl tile flooring (LVT). Made in glue-down tiles and planks as well as floating versions, popularity of this flooring have been sweeping the US and the globe. Almost all flooring manufacturers are now making some form of LVT. Consumers like LVT for the same reasons they liked laminate flooring: low prices, exceptional photo-realistic 3-D graphics that simulate natural wood or stone, durability and the promise of no maintenance. LVT has four distinct layers fused together: a resilient vinyl backing, a vinyl color layer, a photographic film layer and a urethane or aluminum oxide top layer for wear resistance. Sounds great, looks great and is almost too good to be true, except for some important details that are missing from most discussions—The Back Story. The majority of all LVT is made in Asia, although new plants are being built in the US. LVT is made from polyvinyl chloride (PVC), which is hazardous from production to disposal. There is no completely safe way to manufacture or dispose of PVC. Vinyl chloride has been classified as a human carcinogen (14th Report on Carcinogens, National Toxicity Program) and is on the Living Building Challenge Red List of toxic chemicals to avoid. 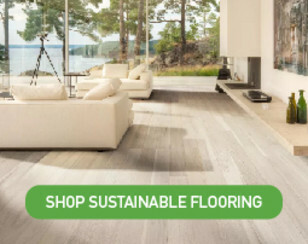 Some LVT manufacturers are committed to reducing the amount of PVC and phthalates, but many companies have not eliminated them. Because chemical manufacturers are not required to reveal proprietary ingredients in their products, it is nearly impossible for consumers to determine which product might be safer than another. There are many types of phthalates. Some are cancer causing, and some may be endocrine disruptors. The problem is, we don’t know which ones are being used in LVT because of the lack of proper labeling. PVC also contains ethylene dichloride, mercury, and other chemicals, many of which have been banned from children’s products and other consumer goods. LVT is not repairable. While it is water and scratch resistant, it’s wear and photographic layers are only paper-thin. When the LVT is scratched—and it will scratch—there is no way to repair it. It is not a through-body color like wood, cork, bamboo, or linoleum, all of which can be repaired. The emissions from PVC create health hazards, such as dioxins and furans, two of the most toxic chemicals on the planet. These chemicals are typically produced during the manufacturing process and from incineration in landfills. Small amounts may also be emitted from exposure to the sun and proximity to heat coming from a furnace or fireplace in your home. Because PVC is not biodegradable and is both difficult and costly to recycle, most of it eventually ends up in landfills and is burned after its useful life. The threat of exposure to humans and the environment after incineration is very real. PVC is banned in many countries throughout the world because of its potentially harmful effects on humans and the environment. PVC is made from non-sustainable petrochemicals. PVC is inexpensive and appears to offer many benefits to numerous industries. However, few manufacturers look at the long-range effects on humans or the environment. Much research has been done, but much more needs to be done.